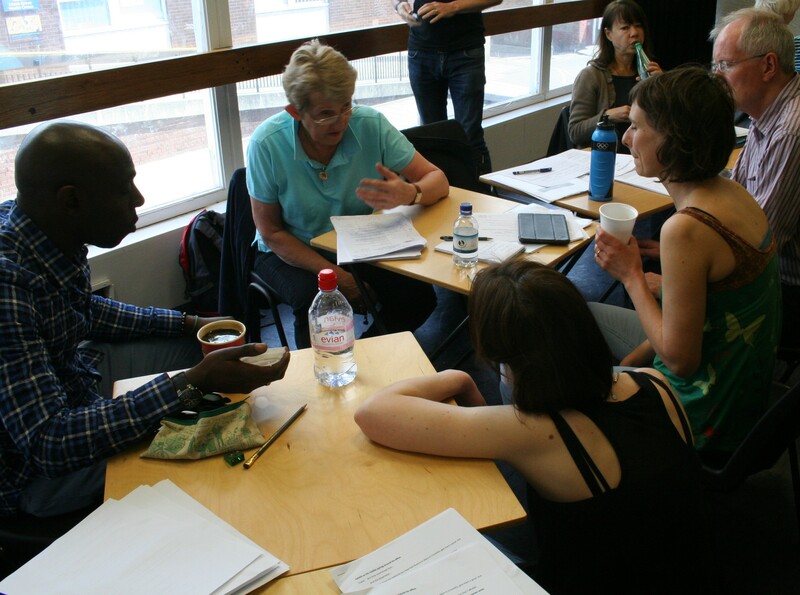 WRITE THEATRE is a series of unique, intensive courses for emerging theatre writers run by established playwrights. 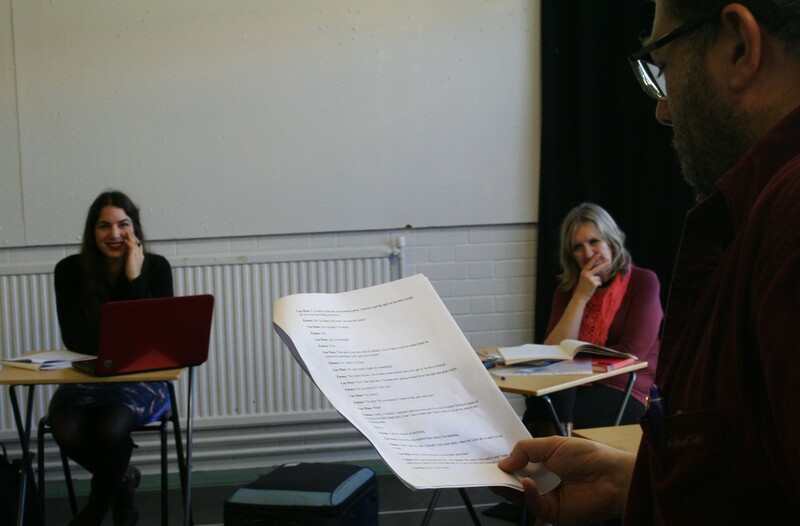 As well as working with the tutors, participants will have the opportunity to have their writing workshopped and rehearsed with experienced professional actors. All places on this course have now been booked. If you would like to be put on the waiting list in case one or more participants cancel, or if you would like be added to our (non-automated) mailing list, please email us. See Contact page for details. The courses are offered in association with Border Crossings Laboratory. We believe that the writing of plays is a flexible and an organic process, not something that can be taught through the rigid application of rules or application of templates. And it is through this organic process that the writer finds his or her voice. 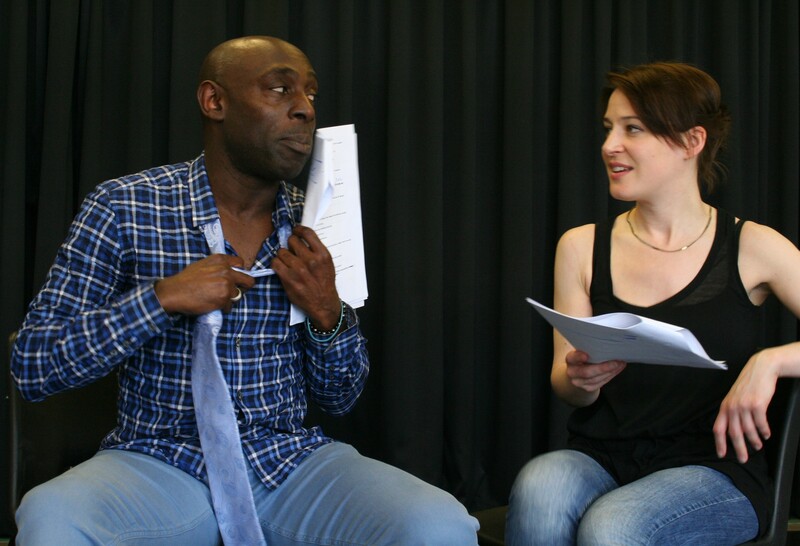 Our aim in the WRITE theatre course is to enable you to find a process that works for you. Playwrights, like all other writers, have to spend time alone on the hard graft of developing a playscript. But writing for theatre is essentially different from writing novels, short stories or poetry in that collaborations are at the heart of theatre. What makes this course unique is that you will get the chance to work with actors in groups and individually; to see your work explored and brought to life; and to engage in dialogue with experienced theatre professionals. 2 days of workshops with experienced professional actors, all of whom have worked regularly with the RSC, culminating in performance of short extracts from your own work. There is a strict upper limit of numbers on Write Theatre courses – for further details, see Forthcoming Courses. For many other testimonials, and to see the full text of all the following, go to the TESTIMONIALS page. “An intelligent, incisive, supportive , forgiving and releasing writing environment… Demystifies the process and brings it down to very simple basics. Very constructively challenging… opened up views and insights on my writing that were an inspiration and which gave me courage… A rare and mindful environment for creativity and work and crucially no egos – just intelligence, collaboration and support. Excellent. Thank you!” Elizabeth Kelly. October 2017. ‘… one of the best courses I have ever attended! Brian and Rib are both so supportive and knowledgeable and they create a safe space for everyone to learn together whether creating character, dialogue or writing a full length scene…. The course is very practical … (and) very intense and they pack a lot in… I now feel inspired to go away and write my first play and feel confident I have the tools to give it a go!” Jamie Phillips. October 2017. “I would just like to say how grateful I am for all your insight, guidance and generosity. The course was the perfect combination of practical advice and pure inspiration, delivered in such an open and encouraging spirit. I feel equipped with a new confidence to move forward with my writing.” George Coupe. May 2016. “This was such a fantastic course. I can’t recommend it highly enough.” Cath Comfort. May 2016. “I enjoyed it on so many fronts – the sheer joy of having a fresh slant on plot and character, your teaching styles and the camaraderie…” Katharine McMahon. May 2016. “Very stimulating … I learnt enormous amounts.” Chris Bird. May 2016. “A must for a writer at any stage.” Doc Watson. May 2016. “That was truly inspirational.” David Howgego, June 2014. “The WRITE THEATRE course… is excellent value for money… I loved your teaching style… I feel like I’ve achieved 6 months worth of information and experience in just 4 days. The opportunity to have our work read, workshopped and performed by such quality actors was an absolute thrill. Thank you for an incredibly enriching, absorbing, challenging, intense and wonderful experience.” Lara Cetinich Cory, June 2014. “I found the whole course immensely rewarding. Having professional actors work on one of my scenes moved me to tears. Brian Woolland and Rib Davis are great teachers and highly regarded playwrights. Value for money and a really great course!” Richard Barrett, June 2014. “Having world-class actors to work with brought everything we had learned in class brilliantly to life. If you have any interest in writing for theatre then this is the real deal”. Charles Inge, November 2013.